PLEASE NOTE THAT WE WILL NOT BE RUNNING ART PARTIES IN 2019 FROM MAY- TERM 2. WE WILL BE USING OUR STUDIO FOR MORE ART CLASSES, DUE TO POPULAR DEMAND. WE APOLOGISE FOR ANY INCONVENIENCE, BUT MAY BRING OUR PARTIES BACK IN THE FUTURE BUT NOT IN 2019. Treat your friends to a FUN filled ART PARTY at Young Artists! Just choose a theme from the list below. 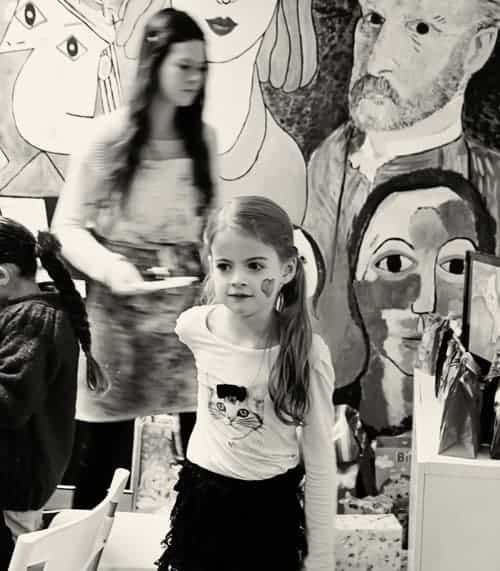 Age: Our art parties are best suited for children 7 years and up. Please place your order for a personalised art gift voucher via the Contact page. 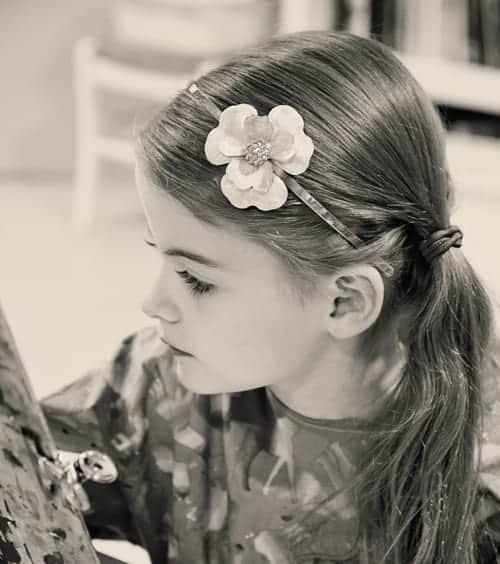 Your child and their special friends will paint a fairy canvas and decorate it with sparkly glitter and sequins. Then they will decorate a fairy wand with beautiful jewels. Ahoy there! Paint a Pirate canvas and design your own Jolly Roger pirate ship flag. Lots of fun to be had on this adventure! Create a Ned Kelly canvas collage painting. The girls will love painting pretty frangipanis and other flowers onto canvases for their bedrooms. Party goers will paint their favourite fluffy, feathery or scaly animal on a canvas. Just bring a photo of your pet or favourite animal and we will help you turn your ideas into a work of art. 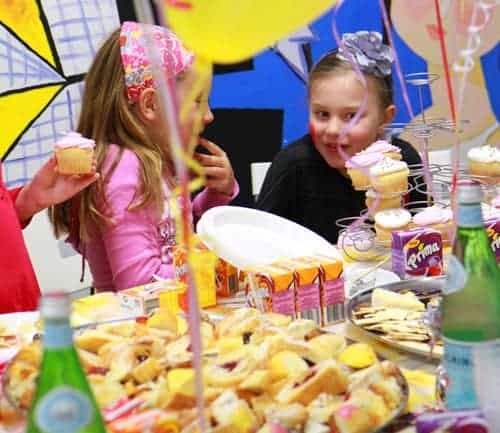 We can design a party especially for your child if they have a special interest. 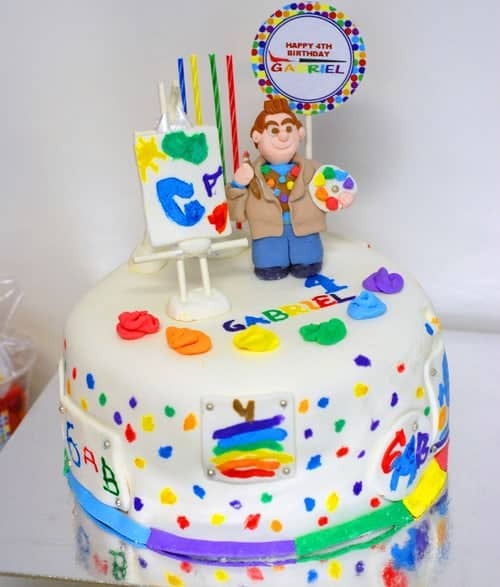 Some examples of other themes are: self-portraits, wild things, mythical creatures, bug gardens, beautiful butterflies, crazy cakes, superheroes, dinosaurs, dragons and monsters, my favourite things, or my favourite artist. All our teachers have had a Working with Children check. 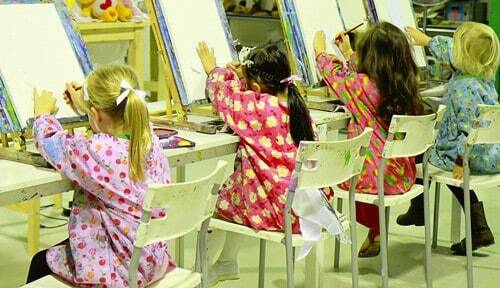 The programs at Young Artists are written by qualified educators who specialise in art education for children. We aim to make our programs enjoyable for the children because they learn more when they enjoy what they are doing! Young Artists is found in the Hills district of Sydney. Our professional light filled studio space is located at Unit 43, 9 Hoyle Avenue, Castle Hill NSW 2154. There is parking at the front door.